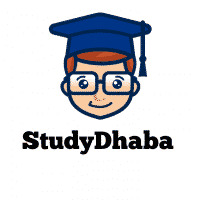 UPSC Interview Questions Based on Economy pdf Download Full List – Hello friends Welcome to studydhaba.com .Here We are Sharing list of Important Questions based on Indian Economy in pdf form. What are the main features of Indian economy? being in the same category? Why India is being taken as the next engine of global growth? Name five most pressing problems about the Indian economy? What are the main constraints of capital formation in India? How to improve? What do you mean by agricultural distress? Suggest measures to overcome that. What is second green revolution? Why India needs to embrace it? institutions have not performed well? What is institutional change in agriculture? Why it has been sluggish in India? stage of Industrial development in India. In terms of diversification of Industrial sector what are the major lacunae in Indian context? Why the contribution of Industrial sector has been low in employment generation in India? measures to make it more even. What is the contribution of service sector in the Indian economy? done for providing quality services? Why social services in India are in shambles – Lack of funding or governance? prospects of the Indian economy? What is Universal basic Income policy? Make a case for this in India. What are the constraints? Demonetisation to deify or demonise? economy? What needs to be done? Why is a Public Sector Asset Rehabilitation Agency (PARA) needed? What do you mean by NPA? Enumerate the measures taken by the government. What do you mean by fiscal consolidation? What steps have been taken by government of India for this? Which are the major obstacles in achieving the fiscal roadmap? What are the advantages and disadvantages of GST? Welfare spending in India suffers from misallocation? Do you agree? What needs to be done? Do you agree that Credit Rating Agencies in the past have shown certain biases against India? Why? What are the challenges facing the external sector of India? Will it be right to describe the budget 2017-18 a “dole budget? Why the India middle class is not excited about the budget 2017-18? New Initiatives in the budget.